As you’ve probably noticed, a couple of weeks ago the Crew took a brief road trip up to the wilds of Scotland. And while they were there, they had the honour of meeting up with their counterparts from Her Majesty’s Coastguard. 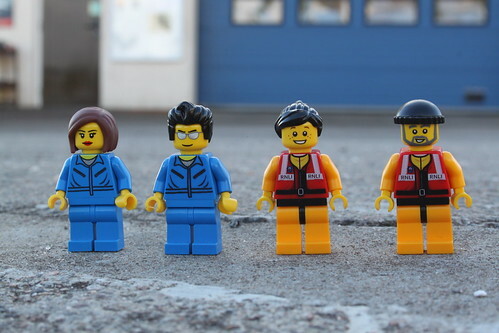 Yes, it’s the ‘wee guys’ from The Coastguard Team! 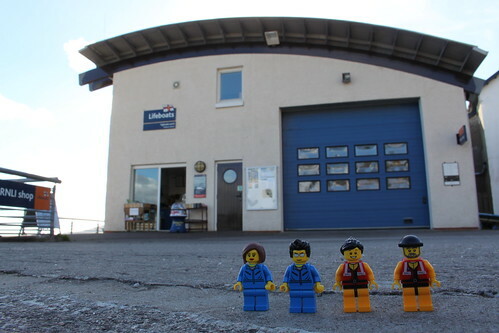 The wee guys are based not far from where the Crew were staying on the sunny Argyll coast, so they popped over for a quick visit. First port of call, of course, was the lovely Barn at Millcroft for a rather delicious ‘working lunch’. But thoughts then turned to more nautical topics. It wasn’t all standing around posing, though. 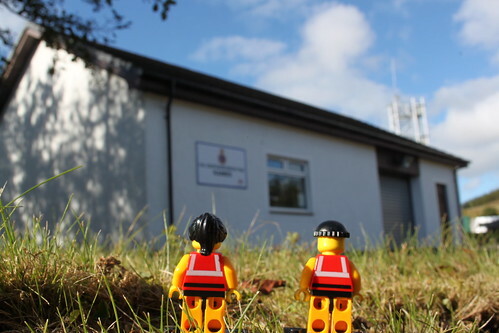 The little guys were also keen to have a look at the Coastguard station itself. 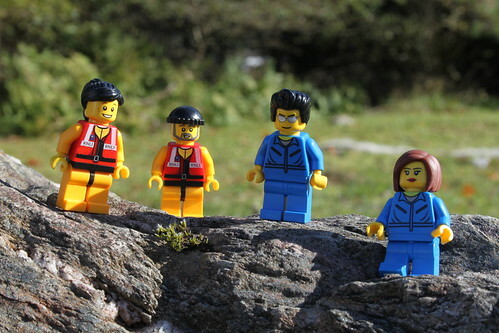 And the wee guys were more than happy to tell the Crew a little about the Coastguard Rescue Teams (also volunteers!) and how they work. The little guys were keen to return the favour, though, and to show the wee guys the local lifeboat station at Tighnabruaich. This great little village is just a short hop along the coast from Kames and is home to the Atlantic 85 lifeboat ‘James and Helen Mason’. We’ll talk more about the lifeboat station in a later blog post, but suffice to say that both the wee guys and the Crew had a great time wandering around in the sunshine, learning about the lifeboat station and looking out over the glimmering waters between Tighnabruaich and the Isle of Bute. This entry was posted in Out and about and tagged HM Coastguard, Kames, RNLI, The Lifeboat Crew, Tighnabruaich by Simon Perks. Bookmark the permalink.